A popular Shropshire vicar and his busy parish team will be starring in a new fly-on-the-wall documentary about the life of a priest in a rural community. The Reverend Matthew Stafford is based at Holy Trinity Church in picturesque Much Wenlock. He and the ministry team will be in the spotlight when the ups and downs of four vicars are aired in a new reality show. 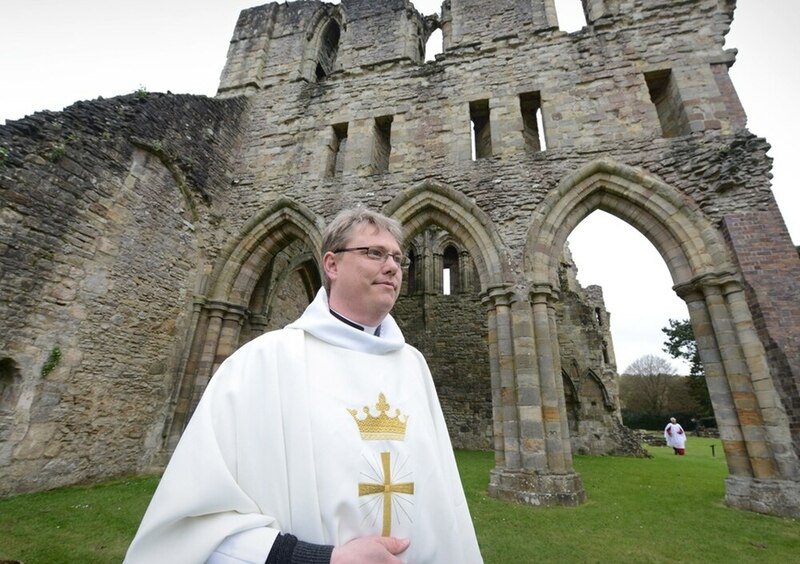 Mr Stafford is taking part in the six-part religion series that goes behind the scenes of the lives of vicars in the heart of the countryside covered by Hereford Diocese, which takes in parts of Shropshire. From opening summer fairs to taking wedding ceremonies for residents, vicars are knitted into the fabric of country life, also providing a pillar of support in times of crisis and personal sorrow. Mr Stafford previously served at Telford’s Wrockwardine Wood and Oakengates parish. The 44-year-old said: “I’ve got to be honest, when the BBC first approached the diocese, it was my wonderful colleague, an excellent minister, Sarah Hare who they asked to take part. “So we had a bit of a chat about it. She has a really dry wit, and she said “you will look better on TV than me”. I’m happy to say that she was also filmed so it’s not just me. “I really wanted to do the series for three reasons. Firstly, to raise the profile of Much Wenlock because it’s a beautiful part of the world, but under sells itself. Secondly, I want to people to see that vicars are also human beings who experience the same trials and tribulations as everyone else regardless of faith, even though having faith helps. “Thirdly, one of the biggest crimes of the church in the 21st century is that we have made Christianity sound boring and I wanted to give people an idea of faith as having influence in an increasingly changing world. In the first episode viewers will see him lead the wedding of local salon owner Mal and firefighter Stu Tabbron who had initially planned to tie the knot at a register office, but switched to the church instead. With the help of cleric outfit designer Julie Quinn and her organist husband Brendon, the family have a day to remember. It also features the priest and his family’s experience of coping with a family member with dementia, the christening of baby twins and Christmas in the village among other themes. Mr Stafford is married to wife Julie, 45, and they have two sons Oran, 17, and Conall, 13, who are also featured. The heart-warming series will follow several rural vicars over a six-month period, from Whitsun in May to December, shedding light on the lives of their parishioners and exploring how the message of Christianity fits into an ever-changing 21st century. It will offer a closer perspective on rural life through the eyes of the church featuring village fetes, shooting drives and local issues. The BBC said it will “all served up with a heavy dose of humour, charity, and inspiring local leadership”. A Vicar’s Life will be aired from January 12 on BBC Two at 8.30pm.